As you may or may not know (I was the latter) Jenna Menard is the Global Colour Artist at Clinique and responsible for the inspiration of many a new product for such brand. 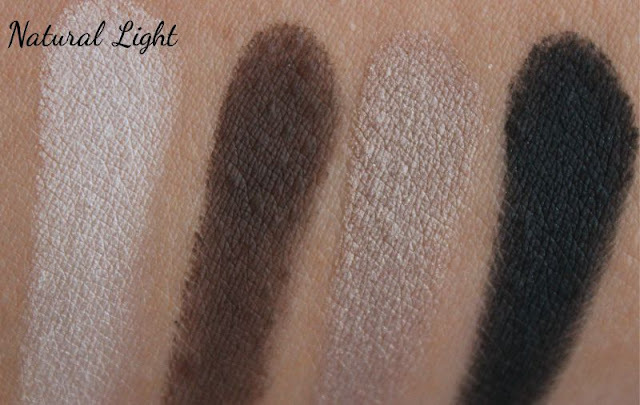 Newly launched is eight new Clinique All About Shadow Quads with the hero selection being 02 Jenna's Essentials - four suit all shades for every occasion. 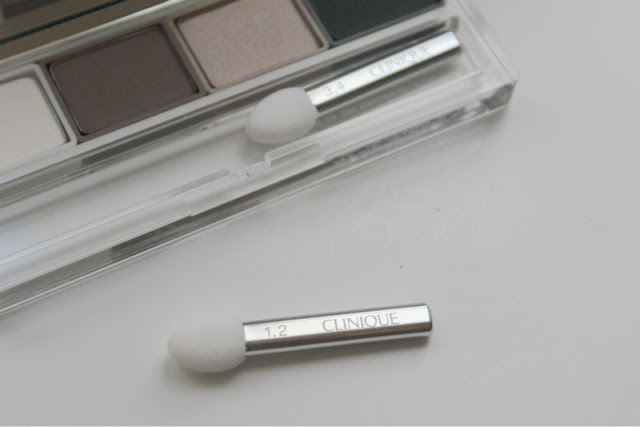 The style of the compact is just what I have come to expect from Clinique - sleek, sophisticated and well designed. 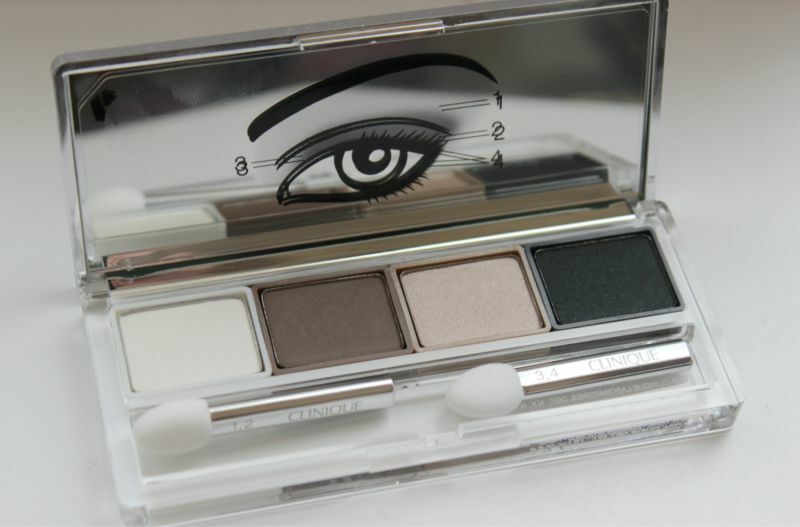 Four well sized pans of eyeshadow sit comfortably inside a palette that is approximately palm sized complete with a mirror that has a peel of sticker indicating the intended use of each shade. The only let down is the two foam applicators with a brand of Clinique's calibre surely a brush of some sort would be more fitting? The Jenna's Essentials palette contains four neutral shades which in my opinion veer more towards the smoky end of the spectrum rather than an everyday quick swipe of colour. Shade 1 is an almost true white (has a slight yellow tone) that is matte, shade 2 is your typical matte chocolate brown that could double up as a brow powder for some, shade 3 is a yellow toned shimmering sand and last but not least shade 4 again is a shimmer based hue but a deep blackened emerald green. I rather like that you have three typical neutral shades with an unexpected pop of colour albeit vampy with the forth shade. The quad can easily take your from day to night with minimal fuss. Clinique in my opinion is a brand you can rely on for quality and their All About Shadow Quads are not exception - all four shades offer great colour pay-off with a velvety soft texture that has next to no product fall out and an easy to blend formulation. Combined with a primer on my oily lids the wear time is around 8-9 hours with the shimmer shades boding just a little longer. 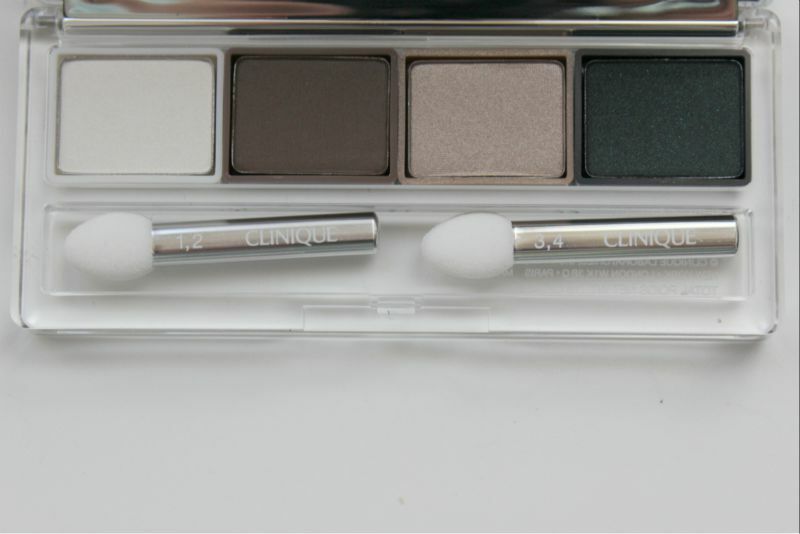 For a neutral palette with a twist that does have a shade that can double up for the brows you know what to purchase next. 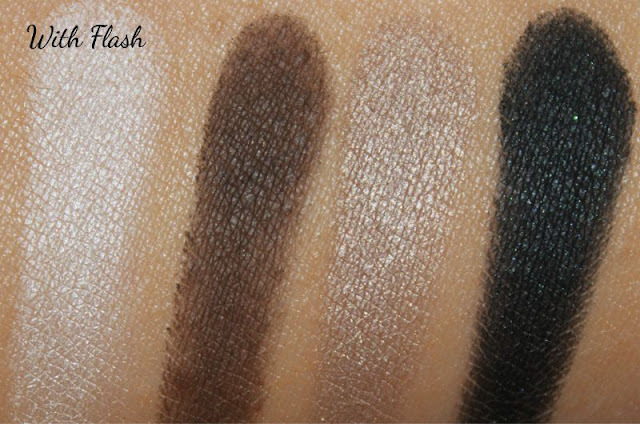 I love the look of the middle two shades, very nice! 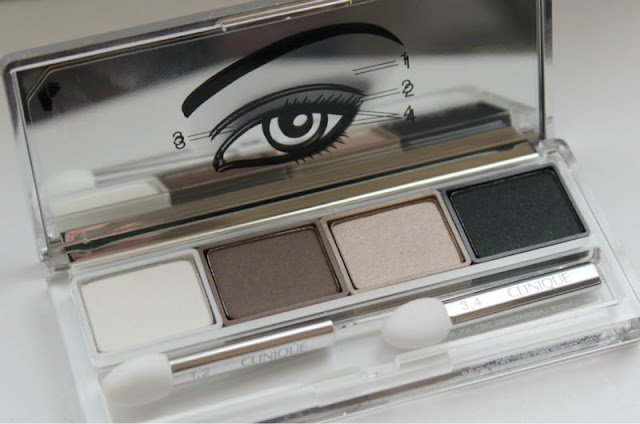 How lovely is this palette! It looks perfect for travel. I agree about how it looks a bit too smokey for everyday. But overall its a lovely little palette. This is such a lovely palette. It would be great to travel with! 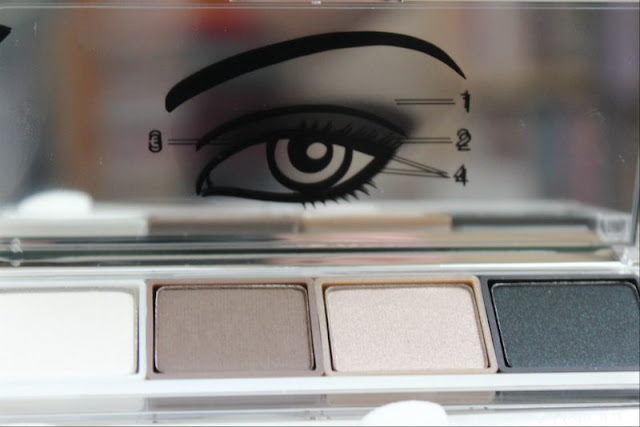 Wow this is a fabulous palette, the peel off sticker is a great idea. I do agree they should include a brush, much better. 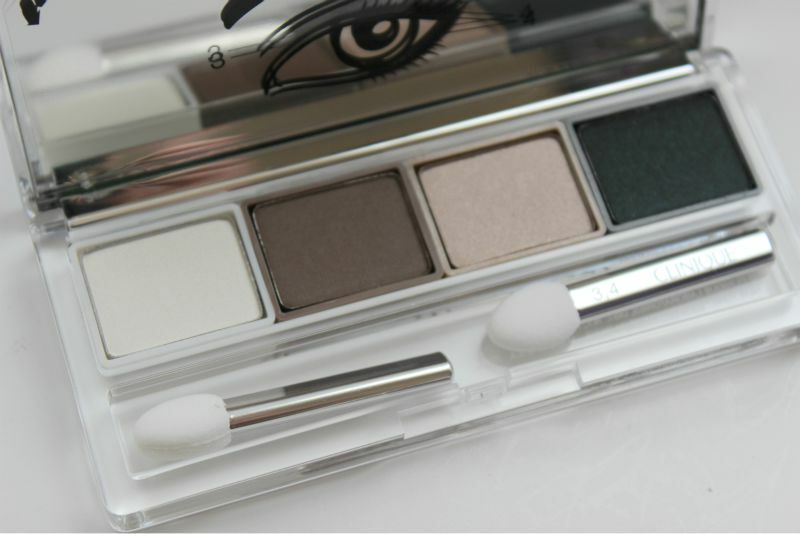 These look great, a little too cool toned for my skin, but great nonetheless! Like the colours but why do they always put naff brushes in them! Looks like a good everyday pallet. NEED and WANT this. You enabler you! haha. waouh, the color was very pigmented ! I really like the style of compact. It’s really well designed, sleek and sophisticated. I am huge fan of Clinique products and I totally agreed with you on that Clinique is the product that you can rely on for quality.